After Steve McQueen’s harrowing drama 12 Years A Slave won the Oscar for Best Picture, he likely faced the same existential crisis that greets any artist who has received one of the highest honors bestowed in their field: Where to go from here? Sure, you can hire the author of Gone Girl to write you a heist movie. And yes, you can create a new HBO series about high society, as one does. 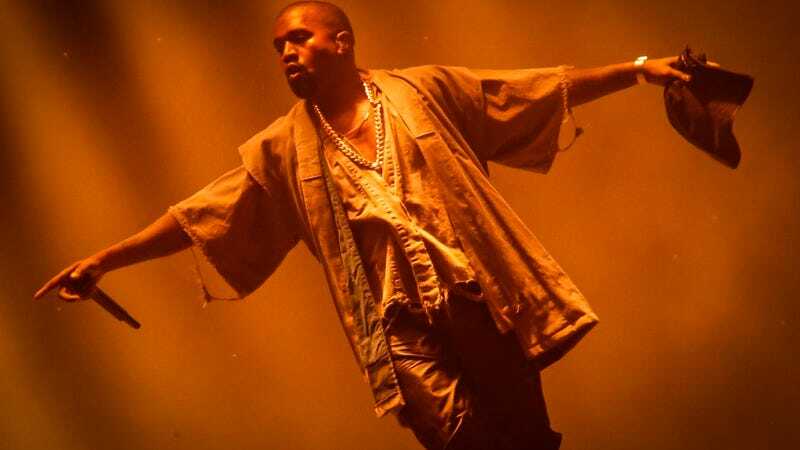 But McQueen decided to put his newfound cultural cache to even greater purpose: He picked up the phone and said, “Gimme Kanye West’s number.” And now, Indiewire reports the director has shot a video for West’s upcoming album, set to screen this week at the Los Angeles County Museum Of Art. LACMA is airing the video for four days, starting on Saturday. No word on when it will be released online, but West’s ego is probably leaking it onto streaming sites as we speak.